Learn the very useful skill of knitting in the round as you knit a wonderful warm hat with no seams to sew up! We will cover proper joining, when and how to use double pointed needles and how to read a pattern. You will gain the skills to make a variety of beautiful hats and cowls. 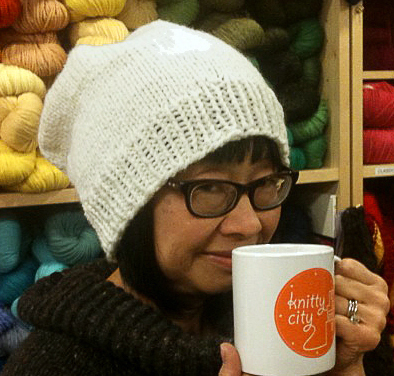 Requirements: Know how to long-tail cast on, bind off, knit, and purl. Materials needed: 16-inch Circular needles US size 11, double-pointed needles (DPNs) US size 11, and solid colored super chunky yarn of your choice.